* He was so so casually dressed – black hoodie or sweatshirt, casual or black leather pants, casual shoes. * He was cross-legged, a huge sign of disrespect. * He took with him a Mahima Kaul, an employee who has been a strong Modi – hater. It was not clear if one was going to the vegetable market, or to see a picture to meet one of the most important people in the world. Would he have done the same in meetings (if he got one) with the US President or heads of many other countries? Was this a mistake or done on purpose by one who is nearly half the age of the Prime Minister? What was hoped to be achieved or what was achieved? 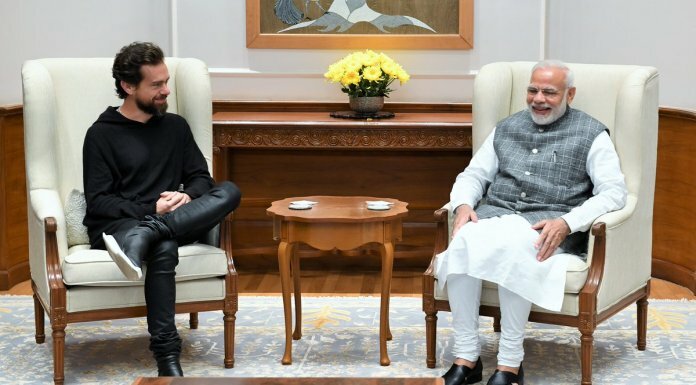 Was it to show that the head of one minor social media company superior to Prime Minister of India?